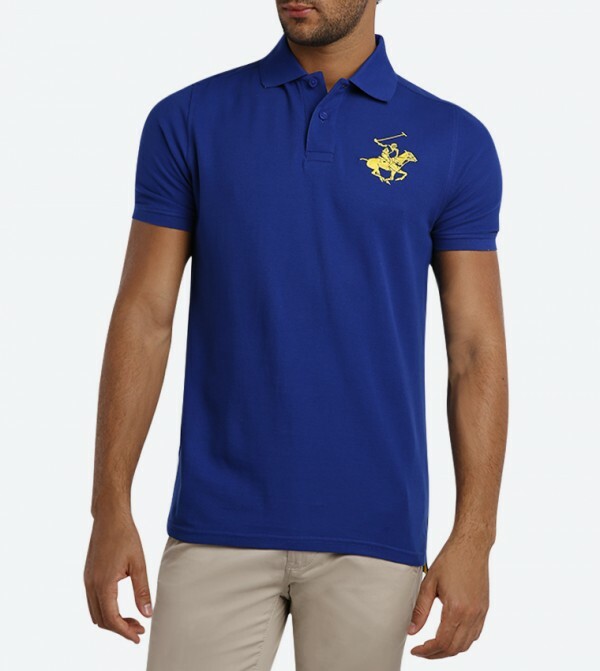 Simple and classy, this blue polo T-shirt by Beverly Hills Polo Club is a versatile staple for weekend styling. Featuring heathered effect, 2-button placket and ribbed sleeve cuffs, it is finished with embroidered logo applique detailing on the left. Tailored in regular fit from cotton fabric for a soft feel, it will go well with jeans and sneakers.